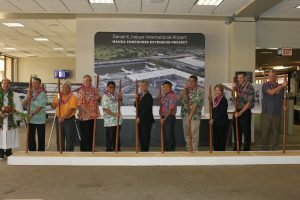 HONOLULU – Governor David Y. Ige and the Hawaii Department of Transportation (HDOT) Airports Division are ushering in the next phase of the airport modernization plan with the start of construction on the new Mauka Concourse, which will deliver additional gate capacity capable of handling larger aircraft and 260,000 square feet of environmentally friendly space designed to enhance the overall passenger experience. “I’m thrilled to get underway with construction of a new concourse at the state’s busiest airport. 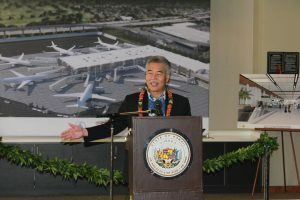 In two and a half years, we will deliver a beautiful new facility to the residents of our state and the visitors who come to Hawaii from around the world,” said Governor David Y. Ige. The new $220 million two level Mauka Concourse will be located on the Ewa side of the airport and will connect with Terminal 1 (the current Interisland Terminal). The Leadership in Energy and Environmental Design (LEED) Silver Certified facility will accommodate eleven narrow body aircraft or six wide body aircraft. The second level departure area will include a new air-conditioned Transportation Security Administration (TSA) checkpoint with six lanes to screen passengers faster and reduce the amount of time spent in security lines. 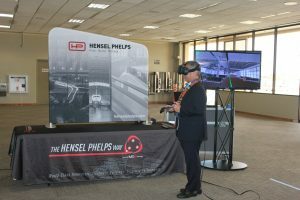 The concourse will feature a connecting walkway to Terminal 1, passenger holdrooms and boarding areas, restrooms, information kiosks and agricultural screening to allow for domestic departures. A new Ramp Control Office will be constructed, with gate management, flight management and fire alarm systems that tie back to the existing State Ramp Control Office. HDOT will continue its public private partnership with airport concessionaires to add popular amenities such as retail and restaurant concessions in the new Mauka Concourse. “We want the airport to be part of a person’s vacation experience and the new Mauka Concourse will help accomplish that goal. Passengers will be able to shop for fine merchandise or enjoy a meal or beverage in a relaxing environment before or after their flight,” said Peter Fithian, Airport Concessionaires Committee Chairman. Work is currently underway on airfield and utility infrastructure work which are necessary to allow wide body aircraft access to the new gates. Airfield work includes widening taxilanes, new aircraft parking aprons, modifications to the existing hydrant fueling system, inclusive of new fuel hydrant pits, new passenger loading bridges, and installation of a jet blast fence to shield pedestrians and vehicles on the adjacent surface streets. Ramp level areas will also include spaces available for future tenant offices, ground vehicle access, baggage handling, storage, and common areas for waste recycling. The project also includes the construction of a pre-arranged ground transportation area to accommodate passenger transportation needs. Improvements include restriping of the parking stalls, construction of sidewalks and covered waiting areas, and restroom facilities. Landside site work also includes utility infrastructure and improvements to Aolele Street. To make room for the new Mauka Concourse, the project will demolish the existing Commuter Terminal building and annex, including the ground level parking Lot B and terminal roadways. Public parking will be discontinued in parking lot B on June 1, 2018. To view the map of the closed parking area effective click here. 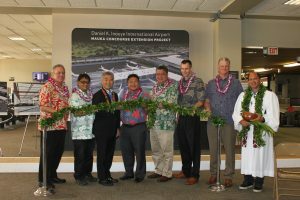 On May 29, 2018 Mokulele Airlines moved locations to Terminal 3 located on the Diamond Head side of the airport with its entrance on Aolele Street between the Delta Cargo and United Cargo facilities. For more information on the new Mokulele Airlines location click here. HDOT is implementing a new numbering system for all gates, baggage claims and signage at HNL in order to accommodate the future gate expansion at the Mauka and Diamond Head Concourses, and to provide more efficient signage to direct people through airport property, while upgrading the look of the signage, which has not been updated in more than a quarter century. For more information on the new sign and numbering system click here. The Mauka Concourse construction is anticipated to be completed and delivered to the public by the end of 2020. HDOT is self-sustaining and does not receive State general funds to operate, meaning HDOT does not receive funding from sources like income tax to build projects like this. Instead HDOT generates its own revenue through user fees. In the case of the airports, project costs come from concessions and airline revenue. Primary sources of funding includes landing fees, terminal rentals, parking revenue, rental car customer facility charges, passenger facility charges and federal grants. Click on the following links to view renderings of the Mauka Concourse project. Please courtesy “Hawaii Department of Transportation” or “HDOT” if the renderings or photographs are used in any publication. Interior rendering of the new Mauka Concourse at the Daniel K. Inouye International Airport. Holdroom rendering of the new Mauka Concourse at the Daniel K. Inouye International Airport. Aerial rendering of the new Mauka Concourse at the Daniel K. Inouye International Airport. Airlines Committee of Hawaii Co-Chair Blaine Miyasato (from left to right), House Vice Speaker Mark Nakashima, Governor David Ige, HDOT Director Jade Butay, Senate President Ronald Kouchi, Hawaiian Airlines President & CEO Peter Ingram, Hensel Phelps Vice President Thomas Diersbock, and Kahu Kordell Kekoa participate in the untying of the maile lei during the groundbreaking ceremony for the Mauka Concourse project. 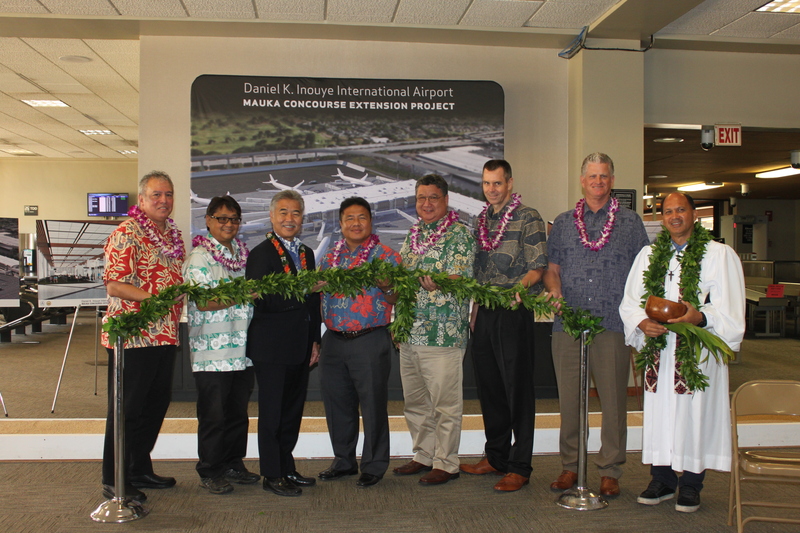 Kahu Kordell Kekoa (from left to right), HDOT Airport Division Deputy Director Ross Higashi, Rep. Richard Onishi, Airlines Committee of Hawaii Co-Chair Blaine Miyasato, House Vice Speaker Mark Nakashima, Governor David Ige, HDOT Director Jade Butay, Senate President Ronald Kouchi, Sen. Lorraine Inouye, Hawaiian Airlines President & CEO Peter Ingram, Hensel Phelps Vice President Thomas Diersbock participate in the turning of the soil with O’o sticks. 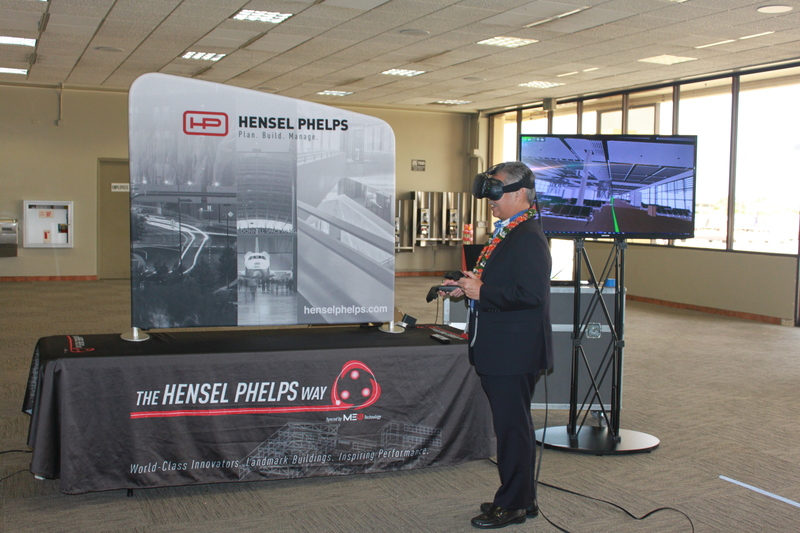 Governor David Ige experiences the virtual reality display by Hensel Phelps that shows what the Mauka Concourse will look like when it is built in 2020. 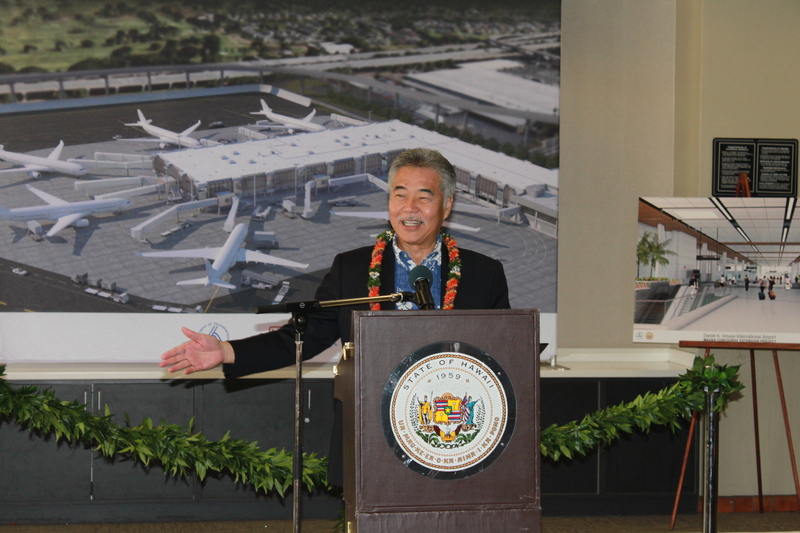 Governor David Ige speaking to the audience during the Mauka Concourse groundbreaking ceremony.